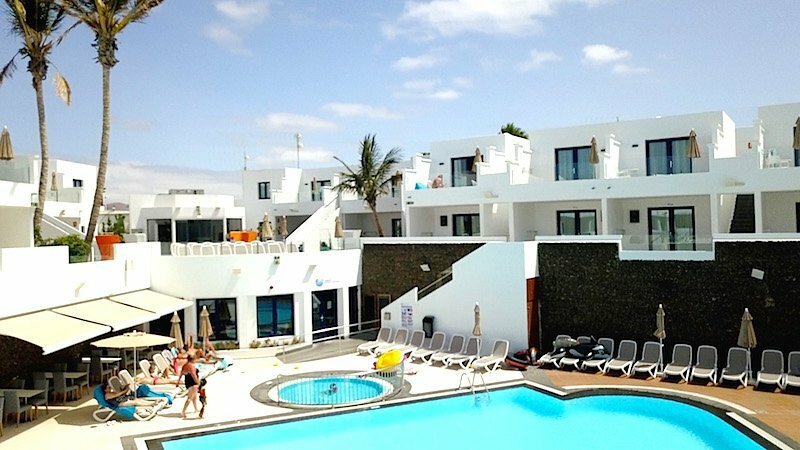 With a super theme park, an open air cinema and some great dining options, it is no wonder that Puerto del Carmen is one of Lanzarote’s top family resorts. 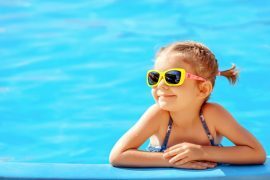 Here are my top five things to do with kids in Puerto del Carmen. 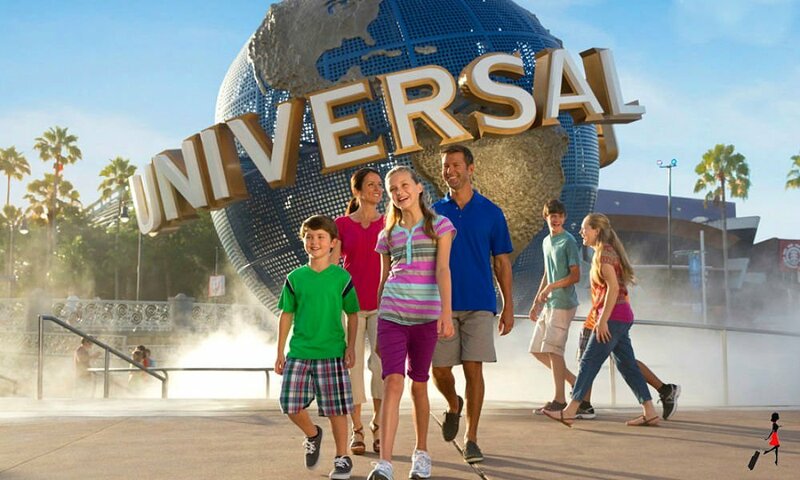 Rancho Texas Park is a super theme park, located just minutes from Puerto del Carmen. There are free buses available from many collection points but we took a taxi, it was only €4 from our hotel, Aqua Suites. I recommend spending most of the day here, it is a fantastic day out for all of the family . 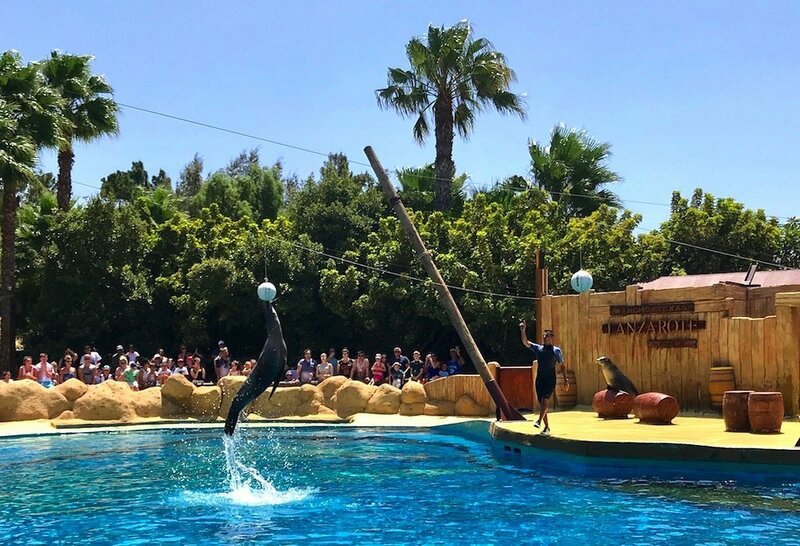 There are dolphin, seal, eagle, parrot and wild west shows, and you can get up close to hundreds of animals. See an elusive white tiger, a Komodo dragon, raccoons, armadillos and many more! After a few hours in the main park, you can enjoy some chill time at their large lagoon style pool and kids splash zone. 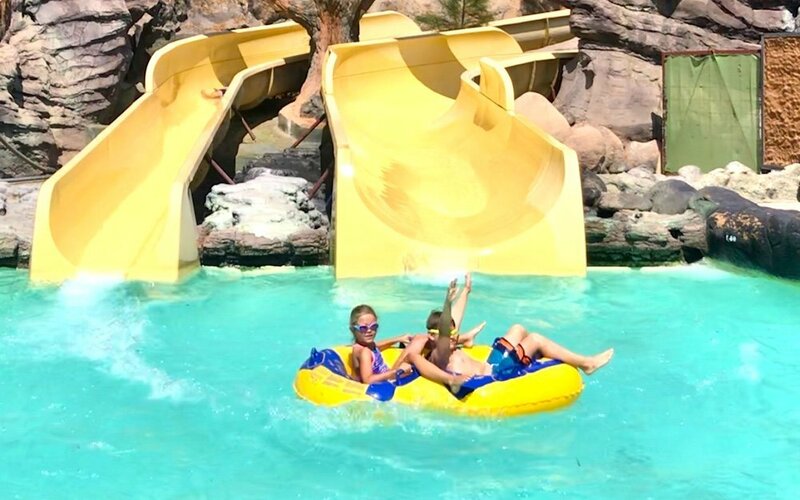 Thrillseekers will love their two large water slides too! This is located on the top floor of the shopping centre in the old town of Puerto del Carmen. A word of warning, you need to book in advance! We tried to book on two occasions but it was booked out for the whole week. I spoke to a few families who visited, and they loved it. 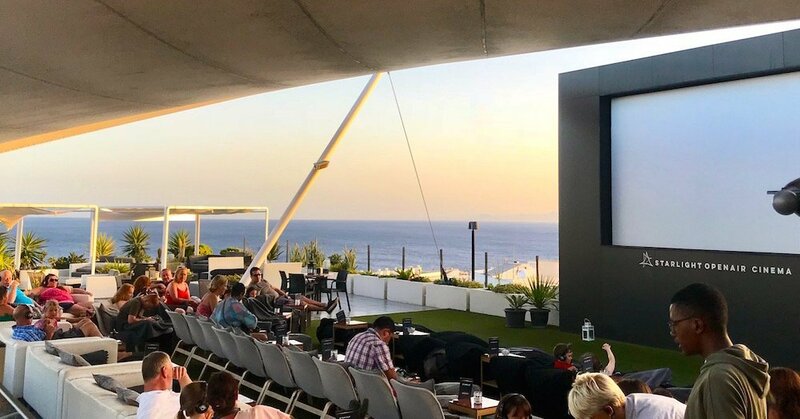 You can watch family movies at 830pm or 1030/1045pm in comfy bean bags under the stars. Blankets are provided on chilly nights and you can enjoy food to your table during the movie. Just hit the bell at your table when you want to order drinks or food. There are also simulator rides, Jurassic World adventure golf and a kids zone, which can be enjoyed before or after the movie. 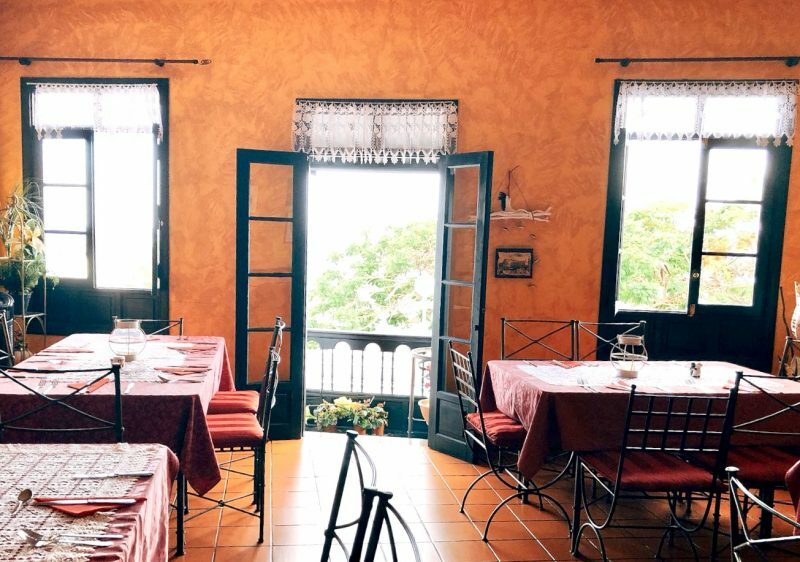 The old town of Puerto del Carmen is full of character, with great restaurants on every corner. 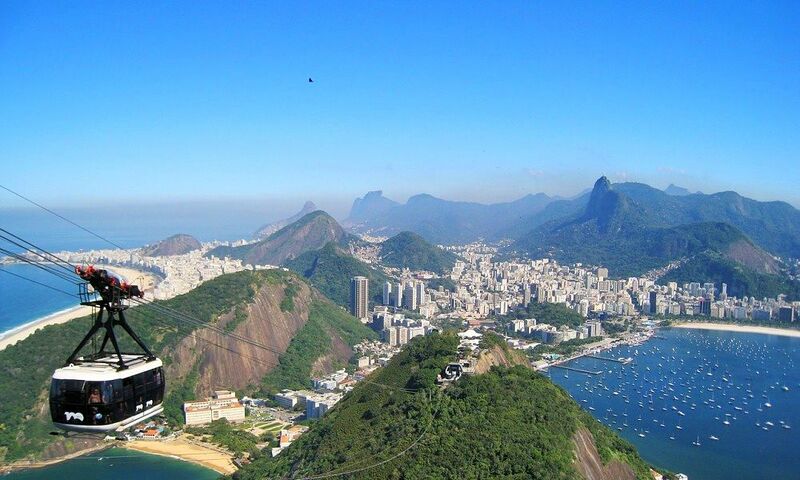 Wander down to the harbour in the evening time and watch the daredevils jump off the rocks into the sea. There is a great playground beside the bars and restaurants where kids can play happily, while you enjoy cocktails as the sun sets . Follow that with a nice meal in Bozenas restaurant. Opened since 2003 this family establishment boasts 85% Irish customers. Don’t miss their famous stroganoff which is served on a potato rosti! They offer gluten free, vegetarian and vegan dishes and kids enjoy great quality food too, including their very own home-made chicken nuggets. 4. Spend a day at the beach. 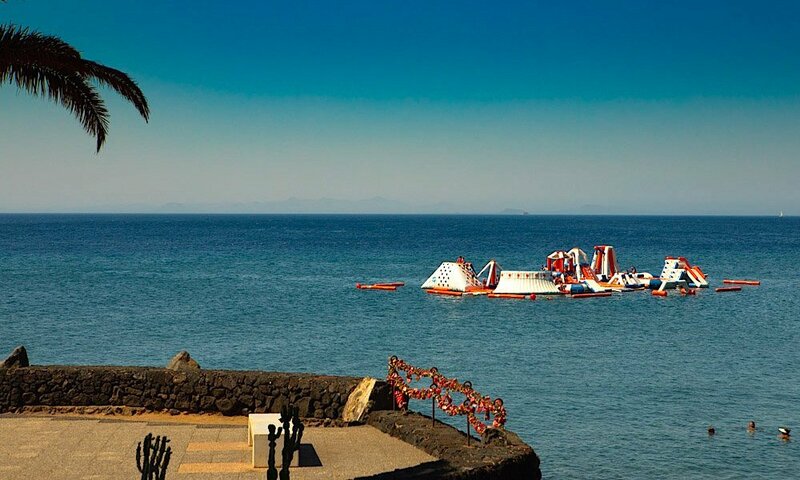 This might sound like an obvious choice but with a inflatable water park in the sea, pedalos with water slides, and the possibility of seeing lots of fish close to the shore, the beaches in Puerto del Carmen are a must visit. The main beach, Playa Grande is where you will find the water sports but the lesser known cove Chica Beach is popular for snorkeling as fish can be seen very close to the shore. Locals like to feed the fish with pieces of bread in the evening time. You can join in, or watch, depending on the ages of your children. Considering its somewhat tacky outward appearance – this was a real surprise for me. The food not only tasted great but a ‘Ninja’ (according to my 10 year old son Luke) cooked our dinner in front of us! It is a real treat for adults and kids alike. You don’t need to go for the full Japanese menu, they have fillet steak and chicken breasts too. Our host had lots of tricks up his sleeve, including knife throwing and impressive chopping skills. He also threw small pieces of scrambled eggs and Luke caught them in his mouth! Make sure you get the ice cream desert, which is placed inside a hot crepe and flambéed right in front of you. Book the teppanyaki table in advance, it only has room for about 20 people. We stayed in the Aqua Suites, a small boutique hotel that is rated number 2 on tripadvisor for all hotels in the Canary Islands. The bright, modern suites and home from home atmosphere, combined with amazing food, are just some of the reasons why I think the Aqua Suites is the best place to stay in Puerto del Carmen with kids – check out my review for more details. 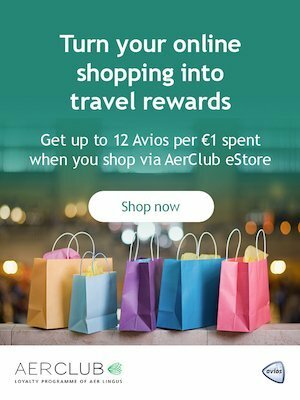 Like family holidays? 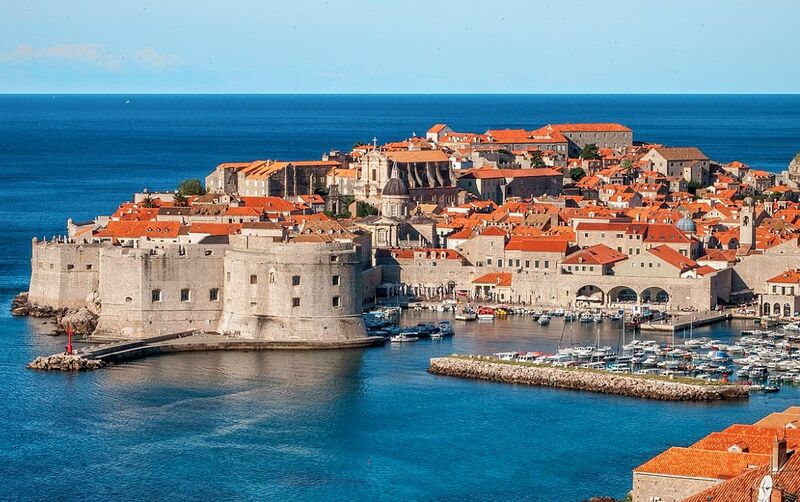 See more destination guides and family holiday ideas here.